- Meet in Amman airport then transfer to your hotel in Amman. - Our tour manager will advice procedures of your holiday time. - Morning pick up to wander Madaba, Nebo, Dead Sea. 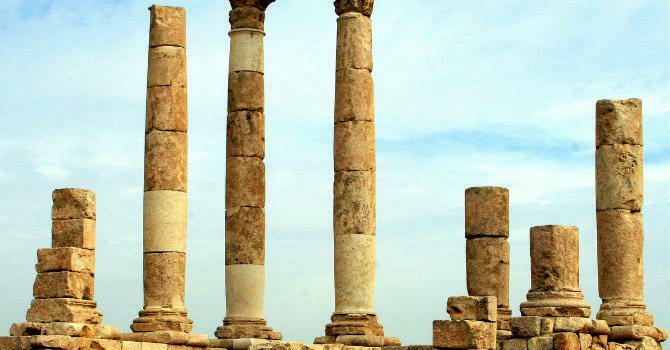 - Drive back to hotel and overnight stay in Amman. - Morning pick up to explore Jerash, Ajloun and Umm Qais. - Late transfer to hotel in Petra. Check in and overnight. - Morning trip to Petra to relish the wonders of the Red Rose city. - Afternoon transfer to Amman hotel, check in and overnight stay. - Check out from hotel by 12:00 noon. - Transfer to Amman airport for the departure flight.